The surging Houston Rockets look to protect their home court again on Wednesday night when they host the Utah Jazz in Game 2 of their best-of-seven series. Tipoff is scheduled for 9:30 p.m. ET from the Toyota Center. The No. 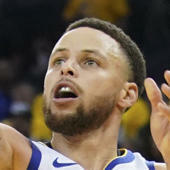 4-seeded Rockets controlled Game 1 of the first-round NBA Playoffs 2019 series from the outset and cruised to a 122-90 victory Sunday night as seven players hit double-figures in scoring, but they should be wary of taking the resilient Jazz for granted. The teams split the regular-season series 2-2 and the Jazz posted a 116-108 win in Houston in last year's postseason after being routed in the opener. Houston is a 6.5-point favorite in the 2019 NBA Playoffs, and the over-under for total points scored is 214 in the latest Rockets vs. Jazz odds. Before you lock in your Rockets vs. Jazz picks, listen to what the SportsLine Projection Model has to say. The model, which simulates every game 10,000 times, is crushing its NBA picks. It entered Week 27 of the 2018-19 NBA season with a sterling 294-242 record on all top-rated picks, returning more than $3,500 in profit to anybody following them. And it has been particularly red-hot on its A-rated NBA picks against the spread, entering Week 27 on a strong 77-62 run. Anybody who has followed it is way up. Now, the model has dialed in on Game 2 of Rockets vs. Jazz. We can tell you the model is leaning over, and it has also generated an against the spread pick that hits well over 50 percent of the time. That one is only available at SportsLine. The model knows the offensive production in Game 1 came as little surprise from a Houston club with the second-ranked unit in the NBA. But a sometimes-suspect defense was largely responsible for the 32-point margin of victory. The Rockets held Utah to 39 percent shooting and forced 19 turnovers. The defensive performance continued a trend that saw the Rockets allow just 105.6 points per 100 possessions since the All-Star break, the second-best mark in the league during that span. But the effort on the boards was perhaps even more impressive for a Houston club that has the worst rebounding percentage among playoff teams. Houston battled Utah to a 34-34 mark on the defensive boards and finished with a 51-48 overall edge. Even so, Houston isn't assured of covering the Rockets vs. Jazz spread on Wednesday. Although Harden was effective in the opener, the Jazz were successful in defending the rim and forcing him into difficult mid-range shots. They limited to him 11-of-26 from the field, and Jazz coach Quin Snyder hinted at the possibility of a new defensive game plan for Game 2. Center Rudy Gobert proved to be a mismatch in the post and he took advantage with 22 points on 8-of-10 shooting, while also hitting all six of his free throws. He also had 12 rebounds and a blocked shot. Second-year star Donovan Mitchell overcame a slow start to score 19 points. The Jazz have covered four straight games following a double-digit defeat and are now 3-1-1 against the spread on their last five trips to the Toyota Center. Who wins Game 2 of Jazz vs. Rockets? And which side of the spread hits in well over 50 percent of simulations? Visit SportsLine now to find out which side of the Jazz vs. Rockets spread you should be all over Wednesday, all from the model that's up more than $3,500 on top-rated NBA picks this season.